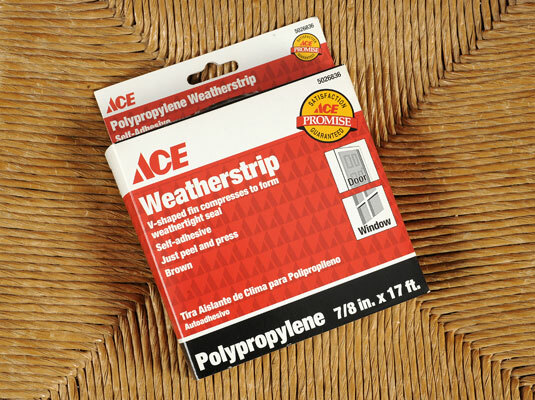 Collect your materials: A measuring tape, a utility knife, and rolls of adhesive-backed weather stripping. 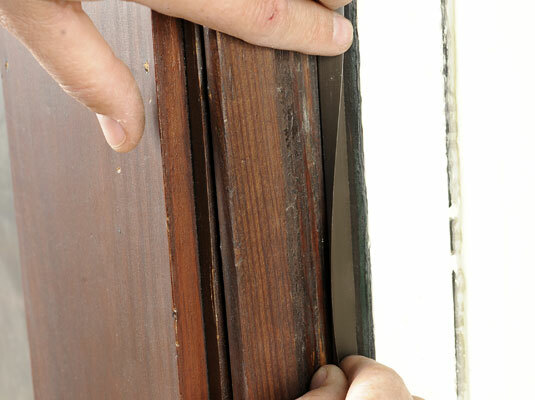 Adhesive-backed weather stripping is inexpensive and lasts one to three years. 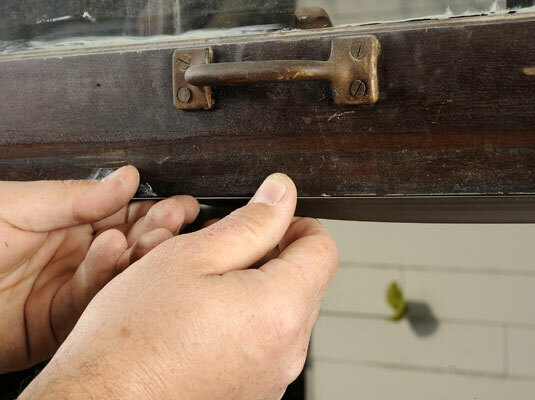 Using soap and water, thoroughly clean the area where you’ll install the weather-stripping and let it dry completely. Cut the strip to the length you want. Use a measuring tape to measure the length of each V-channel, or hold the weather stripping in position and cut a piece slightly longer than needed. Raise the inner sash up as high as it’ll go. Get some help if the window sticks. 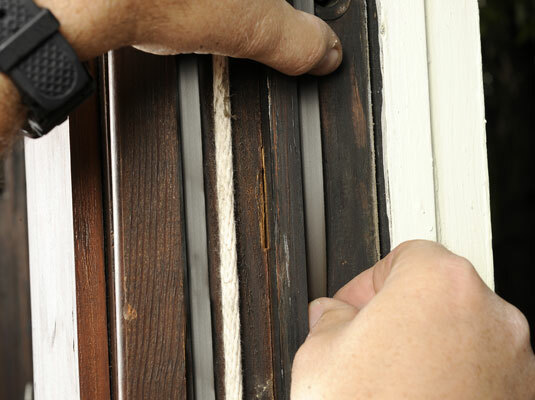 Apply the first piece of weather stripping to the inner sash. Peel away the backing of the strip, leaving the last inch of tape in place. Press the strip in place with the point of the V facing inside. Apply the second piece of the weather stripping and then close the window. Install this strip the same way as you did on the first piece. 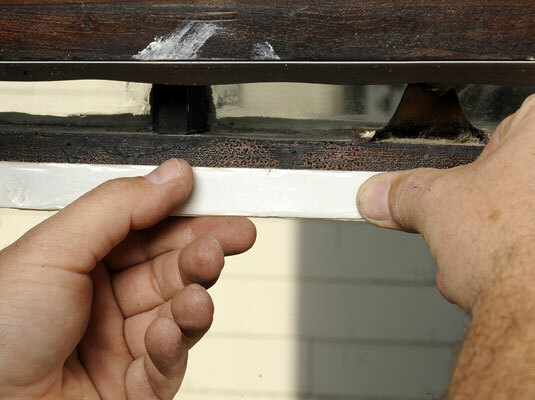 Remove the backing from the top of the weather stripping that protrudes above the sash, and press it in place. 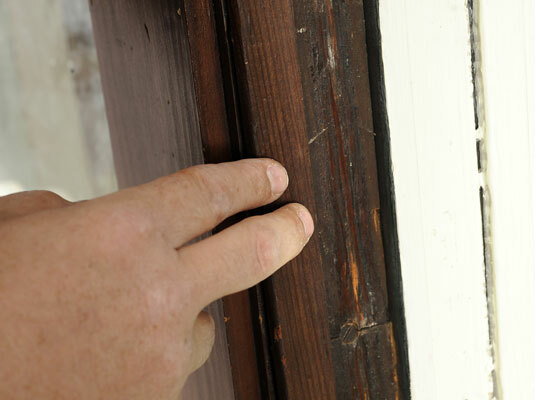 You’ve completed weather-stripping the sides of the inner sash. Lower the outer sash as far as it will go and install the weather-stripping on this sash the same way that you did on the inner sash. The only difference here is that you should leave the backing at the bottom of the strip in place until you raise the window. Lower the outer sash far enough to expose the inside face of the bottom of the sash; clean this surface, and apply a strip of weather-stripping with the point of the V facing down.